Check out (and like/follow) our Facebook & Twitter pages to always know what's going on! Located just off Main Street in historic Woodstock, VA, the Brewhouse is housed in a recently renovated industrial-age gem of a building. Originally known by long-time residents of Woodstock as the Casey Jones work clothes factory, the venue provides a grand experience from the moment you walk through the doors. Painstaking effort has been made to restore the structure to its original glory, from the grand 14-foot ceilings to the aged and worn wood flooring. Our goal has been to keep the structure as authentic as possible. 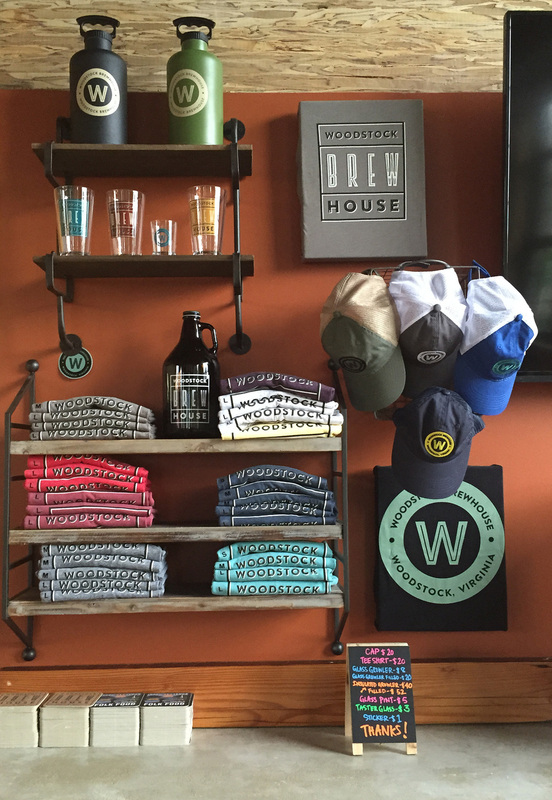 The owners of Woodstock Brewhouse are local Shenandoah Valley residents who all share a love for our community and a passion for craft brewing (both making and drinking). 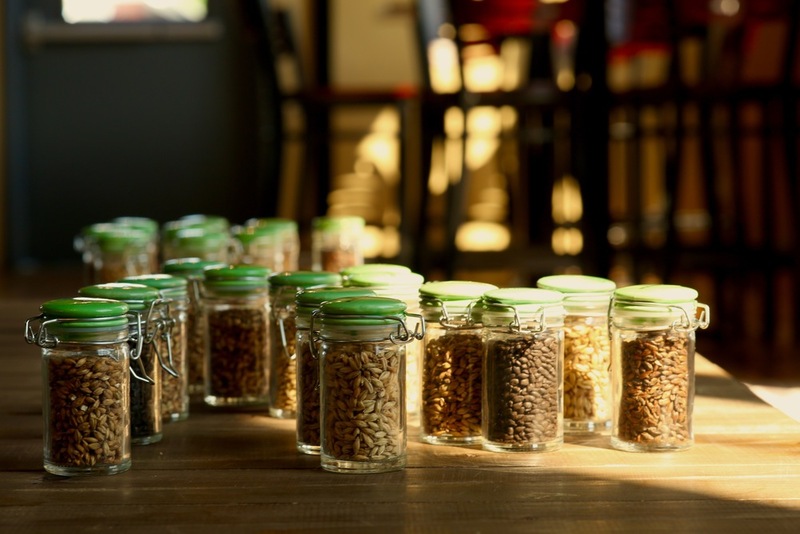 Having been home-brewers for years, the opportunity to make larger batches of favorite recipes to share with the public is exciting and, perhaps, a little intimidating. No one person’s tastes are the same and the owners of the Brewhouse are no different. This assures that we provide a variety of beers to sample and enjoy. We make every effort to source local ingredients, and take advantage of the bounty of the Shenandoah Valley. A medium bodied golden ale. Brewed with rye malt , mosaic hops and Belgian candy sugar. Our golden ale has a creamy mouthfeel, a touch of spice, and a hint of candied orange. Made with Willamette Hops this Ale is an easy-to-drink low ester ale with a nice balance between the malt flavor and low bitterness. Made with American hop varieties, this is a medium ester (fruitiness) Ale with light bittering and a smooth balance between the malt flavor and hops. A smooth easy drinking Pale Ale with a crisp citrus finish thanks to the Simcoe hop additions. This ale is fairly hoppy and slightly bitter thanks to the Chinook hops, with some floral and pine hints. A rigorous hop schedule provides this beer with a nose that is rich in hop character and a taste that is simultaneously punchy and soothing with enough bitterness to satisfy a hophead. Our Nut Brown Ale uses a little more malt than the typical brown ale to get that malty flavor, plus a little extra Victory malt for that touch of nuttiness that squirrels like. Our Irish Red Ale is smooth with a toasted malt flavor and a deep red color with low bitterness that provides a nicely balanced easy to drink ale with great aroma and flavor. A rich smooth Porter with hints of rum and molasses and nice coffee background flavor with the infusion of fragrant vanilla provided by Madagascar vanilla beans. This is a jet black stout with a pronounced roasted coffee like flavor and wonderful mouth feel, nitrogenated for a rich creamy head. Märzen (Mayrt-zen) was historically brewed in Bavaria from March through the end of October, it was the beer served at the Original Oktoberfest celebration, which originated as a wedding reception for the King Ludwig I and Maria Theresa. Our Märzen is an extremely smooth, auburn colored Bavarian lager with a mildly sweet, Munich malt finish that exhibits a caramel malt aftertaste, with very low bitterness. A Belgian style traditionally made in farmhouse breweries during spring but delicious all year long. A terrifically complex beer arising from the interaction of simple ingredients. The Styrian & East Kent Goldings Hops provide just the right amount of bitterness & floral overtones, and the yeast adds a spicy, peppery and earthy taste reminiscent of coriander seeds. This beer has a dry finish with low bitterness that is perfect for a warm spring day, or any other. A light bodied American pilsner. Slightly bittered with Mount Hood hops. This palate pleaser has a mild sulfur nose and finishes clean, crisp, and refreshing. This is a Session version of our Seven Bender brewed for a lower ABV. This is a Session version of our Beckford Parish brewed for a lower ABV. Originally brewed to be a nutritious full -bodied beer featuring the unfermented lactose which contributes to its subtle sweetness. This milk stout is sure to hit the spot with roasted coffee notes, hints of molasses & caramel, boldly finishing with that sweet lactose. Our fall seasonal, this pumpkin ale is clean and sweetly malty with just enough hop bitterness to balance, and no hop aroma to mask the spices in this all grain recipe. The addition of roasted local pumpkins makes it extra pumpkin-y legit. Our Holiday Ale is a pleasantly dark, medium-bodied beer with hints of caramel and a subtle heat from a generous amount of fresh ginger balanced with dried orange peel. Our Winter Ale features similar malt characteristics in the Tipsy Squirrel, but the roasted chestnuts add an extra nutty flavor. The chestnuts are sourced from a local chestnut enthusiast near the Capola Mountain area. Thalia is a blend of traditional Rhône varieties: Marsanne, Roussanne, and Viognier. Full secondary fermentation in new and neutral French oak. Aromas of honeysuckle and butterscotch prelude flavors of yellow apple and white peach. Our 2015 Rosé is made from Morvèdre and Grenache. Left on the skins for 24 hours, this bright rosé begins with a lively nose of strawberry and watermelon, leading to a refreshing palate of cherry and hints of cinnamon. Barrel-aged for two years and composed of four varieties in equal parts: Cabernet Sauvignon, Cabernet Franc, Merlot and Petit Verdot. This wine is well-balanced with medium tannins, hints of violet, blackberry and dried herbs. Subtle tropical flavors are evident in this vintage, done 100% in stainless steel. White meats are ideal with this style of wine and the lower acidity gives it a full-bodied feel on the palate. This wine is best enjoyed now, rather than aged. Cabernet Franc, Petit Verdot and Chambourcin come together to make the cultivated flavor of this wine. This wine is smooth and has a long and lasting finish. Need a great gift idea for the beer-lover in your life? Click here to enter our on-line store. We've also got gear and gift cards for sale at the Brewhouse.